As expected Nvidia, along with their display partners, are going big on 4K G-Sync HDR gaming at this year’s CES. 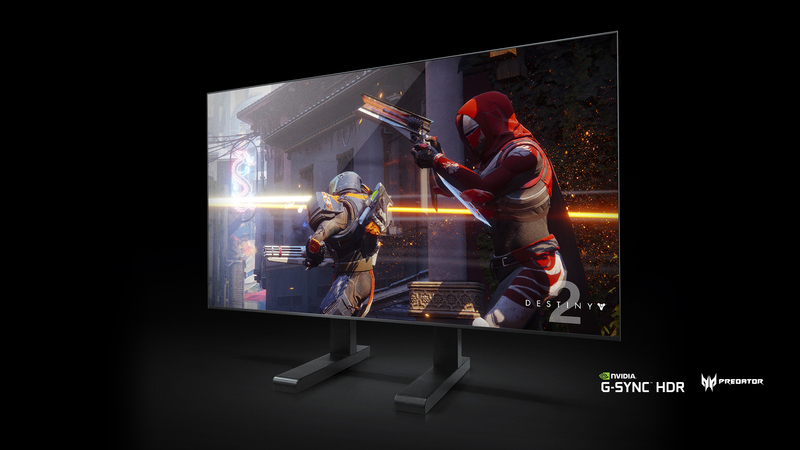 Though we hadn’t quite expected them to go this big… The new Big Format Gaming Displays (BFGDs) are unfeasibly large 65-inch screens with integrated Nvidia SHIELD hardware and retina-searing levels of peak luminance. If it was April Fool’s Day I might be questioning this announcement, but Asus, Acer, and HP are bringing these BFGDs – that DOOM reference is definitely not accidental – to market in the summer. 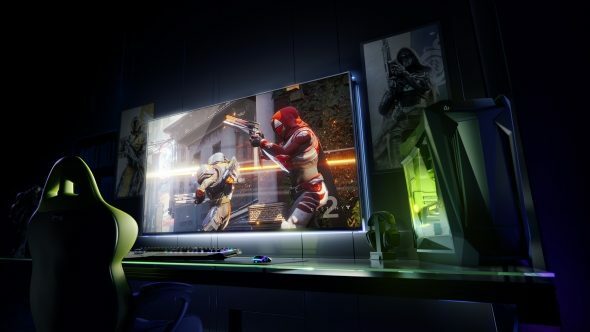 These 65-inch screens come sporting Nvidia’s G-Sync HDR technology, with 120Hz refresh rates and 1,000cd/m2 maximum brightness to deliver on the promise of high dynamic range PC gaming at native 4K resolutions. The gaming-focused panels have been designed to be as low-latency as possible whether you’re plumbed directly into your PC, Android device, or game console. They’re also designed to do the same when using Nvidia’s GameStream technology too, which is a good job as the BFGDs are set to come with integrated SHIELD devices built into them. The little Android TV-powered Nvidia SHIELD is a fantastic streaming and general 4K media device, so having one built directly into a gaming display will make for a seriously powerful monitor. Hold on, can I even call a 65-inch screen a monitor? Whatever, it looks like these panels have been ripped straight from the high-end TV production lines and, with more and more 4K HDR screens hitting the market, these big displays are at least more likely to hit the shelves than the standard monitor size 4K HDR panels we’ve been waiting on since CES last year. But you’re still going to be to have to hold out until the summer before they actually do get a release, which is probably a good thing considering the thousands of dollars you’re going to have to save up for the privilege of owning one of these bad boys.